Is there anything better than a serious spirit that you can sip neat without making a whiskey face? You know – that contorted look that falls on the spectrum between Clint Eastwood face and sour-patch-kids face. What I’m talking about is a smooth spirit that the whiskey beginner and connoisseur alike can drink on its own. 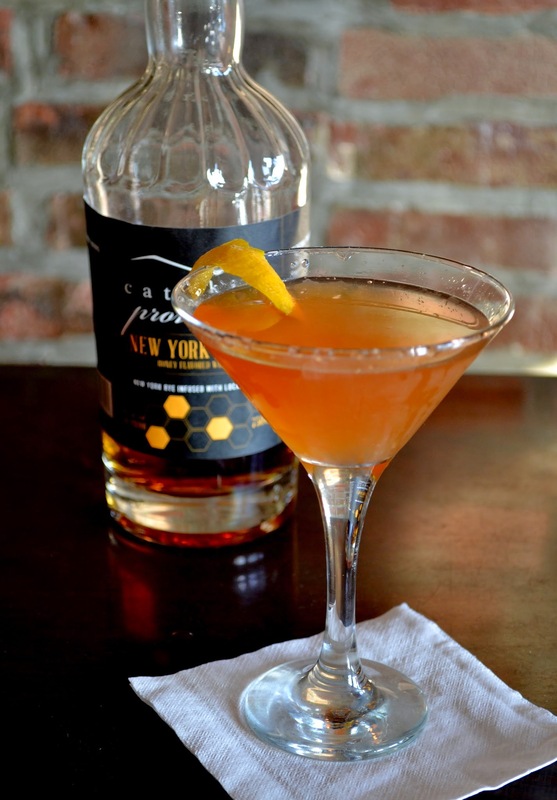 Meet Catskill Provisions New York Honey. 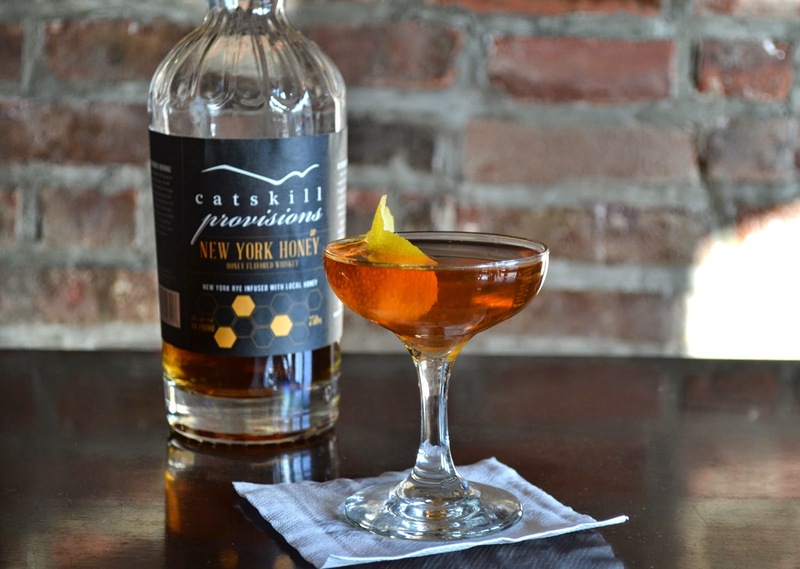 Catskill Provisions, keeper of happy bees, teamed up with the McKenzie Brothers at Finger Lakes Distilling to create Catskill Provisions New York Honey – a rye whiskey that’s infused with wildflower honey. This spirit is as local as they come. 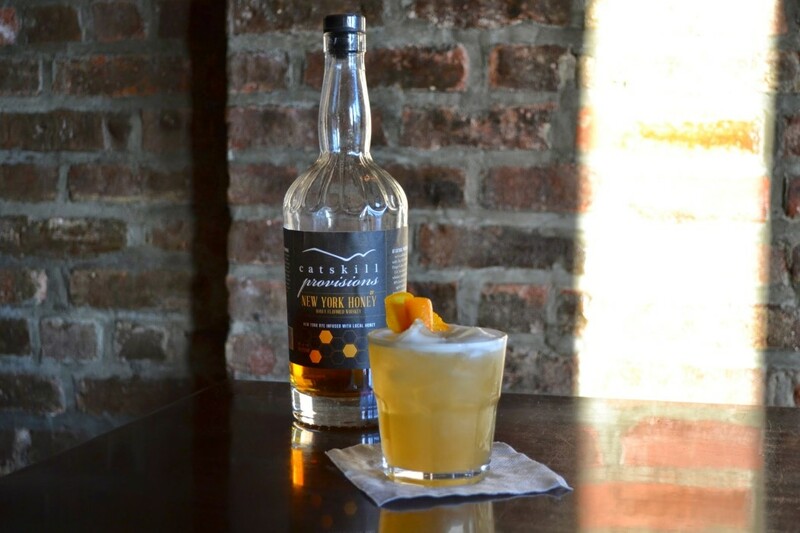 The honey comes from the Northwest Catskill Mountains and the whiskey is made from local rye and malted barley and cask-aged in the Finger Lakes wine country. As for taste, this rye whiskey has a touch of sweetness that accents, but doesn’t mask the flavor of the whiskey itself. It’s smooth, rich and delivers a hit of spiciness. Catskill Provisions New York Honey is supremely sip-able and I would take it with nothing more than a piece of ice. But I would also gladly mix it in a cocktail. 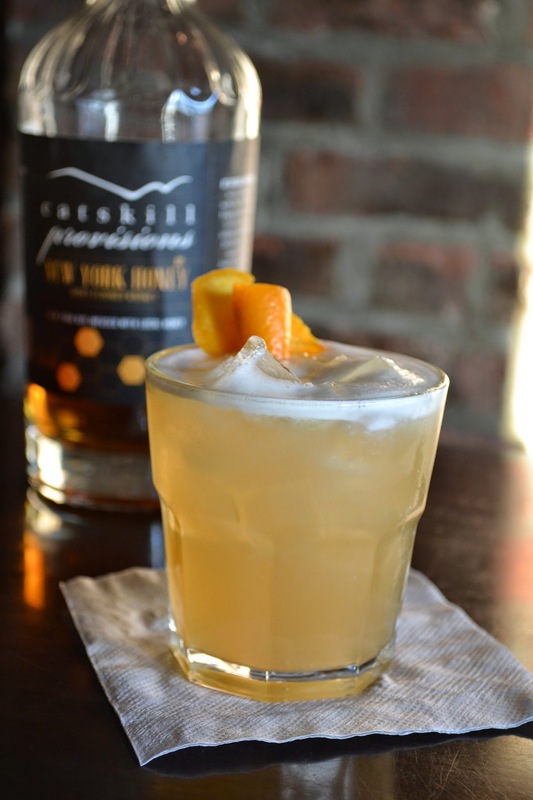 That’s why I teamed up with whiskey specialist, Samuel “Dash” Ehrenreich, to come up with a few cocktail recipes for you guys. Okay, truthfully, Dash came up with all of the cocktails, but I tasted (read: gulped) and give my stamp of enthusiastic approval to all of them. 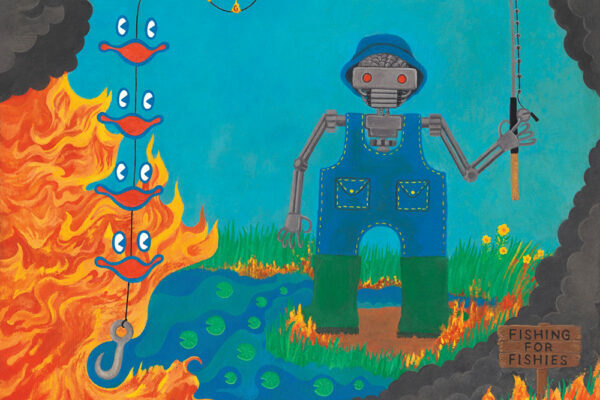 Samuel “Dash” Ehrenreich is from Syracuse, New York. He currently tends bar at Flatiron Room and The Sackett, respectively. Samuel is a Cicerone CBS, Filson Society Bourbon Expert and LobsterInk Masterclass Certified Whisky Specialist. Samuel is an advocate for the use of NYS produced spirits, beer and wine.